Candidates need to be meticulous; there’s no room for error in this field. Do you pride yourself on working flawlessly? Even if the slightest error is made (and let’s face it, we’re all human) it’s important for a nuclear professional to be open and honest about it, explaining the process they went through as a consequence and the learnings they took away. This is a real must. Your maths and science skills need to be top notch so that you can solve complex problems quickly – often there won’t be the luxury of time. Everything needs to run to plan in nuclear and being good at analysing information is essential. In nuclear, employees are under constant scrutiny and they have to take responsibility for their actions. Not only will management be watching what you do, but regulative bodies and other external agencies will be too. There’s no taking shortcuts in the nuclear industry - it’s critical to follow protocol and to do as instructed at all times. Candidates need to be able to handle the enormous responsibility they’re given and the stress that comes with it. Being a nuclear engineer is a challenging job and isn’t for the fainthearted. It requires persistence in the face of obstacles. Prepare for interviews for nuclear roles by being ready to give examples of when they’ve excelled in stressful situations. In order to succeed in nuclear, professionals must eat, sleep and breathe it. Are you driven and willing to put in the hours outside of work to advance and learn all that you can? Ambition is great, but be realistic in your expectations too as moving up the ladder can take time in such a technical field. Sometimes, it can help to study towards a higher qualification (e.g. a masters or Chartered (CEng) Engineer status), but this isn’t essential. Gaining membership with authorities such as the Nuclear Institute (NI) and Nuclear Industry Association (NIA), can equally demonstrate your dedication to the industry. The hours in nuclear can be long. A candidate needs to be willing to drop everything/stay late if something needs doing. Managers need to be able to encourage and support their team, seeing projects through to the end, whilst passing on their knowledge and expertise to colleagues through training. Managing budgets, alongside extensive project planning can add even more hours to the day, so organisational skills, combined with a genuine commitment, are must-have qualities! When it comes to nuclear, candidates should be able to speak confidently, but listen to others too. Teamwork is essential, so make sure you don’t come across as confrontational or aggressive in an interview situation, as this could be perceived as a problem for team dynamics. Your writing skills should also be excellent, so ensure you demonstrate these within your CV. Ask plenty of questions throughout the entire application process – it will show you’re adept at communicating well. Think you've got these skills? 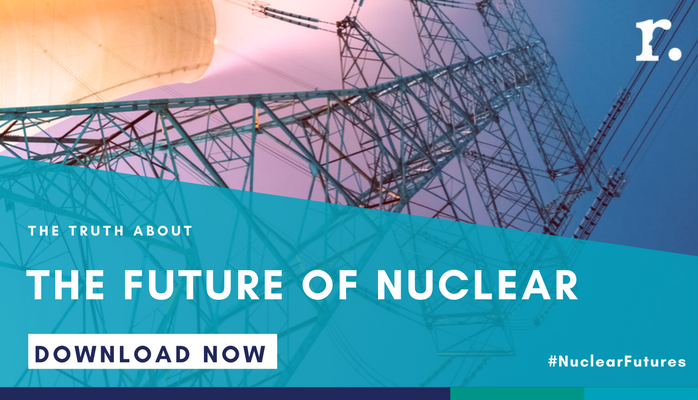 Find out why you should get into the nuclear industry with our White Paper "Eight reasons to unlock your future in Nuclear".